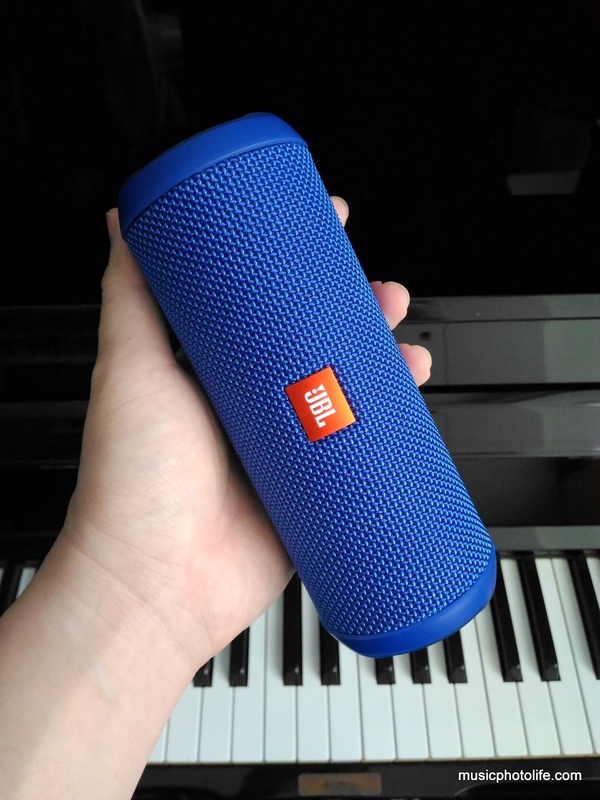 This is the first time JBL engaged me for a product review, thanks to Claudia. On top of that, JBL is having a giveaway contest for my blog readers, as well as readers of 4 other influential blogs. Before we talk about how to join, I shall share my review of the JBL Flip 3. 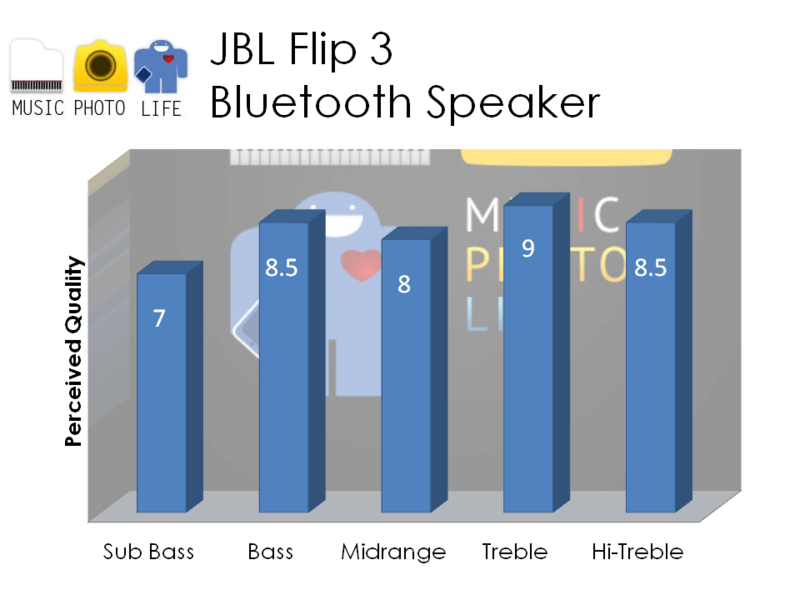 The Flip 3 is the third generation in the popular JBL Flip series. Known for good audio quality, the Flip 3 retains the cylindrical design but ups the ante with a life-proof exterior. The speaker grille is made of durable fabric material while the rest of the body is protected by rugged rubber housing. Although the marketing material only says the Flip 3 is splash proof and washable under running water, it appears to be able to survive harsh elements and rough handling. The only weak link to this robust design is the exposed passive bass radiators at the sides. While there is little doubt that the radiators should not be easily damaged accidentally, they are irresistible parts for children and adults alike to probe and touch. 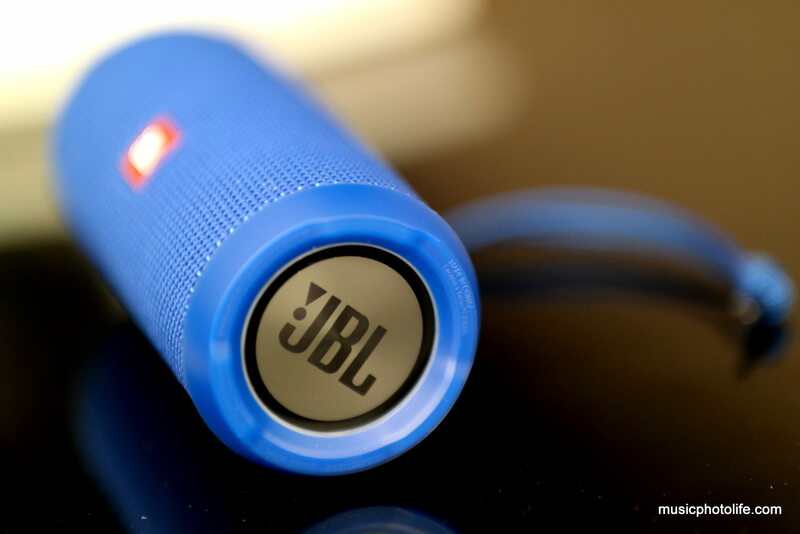 Behind the JBL Flip 3 are buttons to operate the speaker. Most are self-explanatory: Bluetooth symbol button to initiate Bluetooth pairing, + and – buttons for volume, Phone symbol button to answer phone calls. The power button is activated by just a single press, which can be rather annoying when you accidentally tap the wrong button and the speaker turns off. To add to the annoyance, the speaker will play some startup and shutdown rhythmic sequence that never fails to startle everyone in quiet environment. 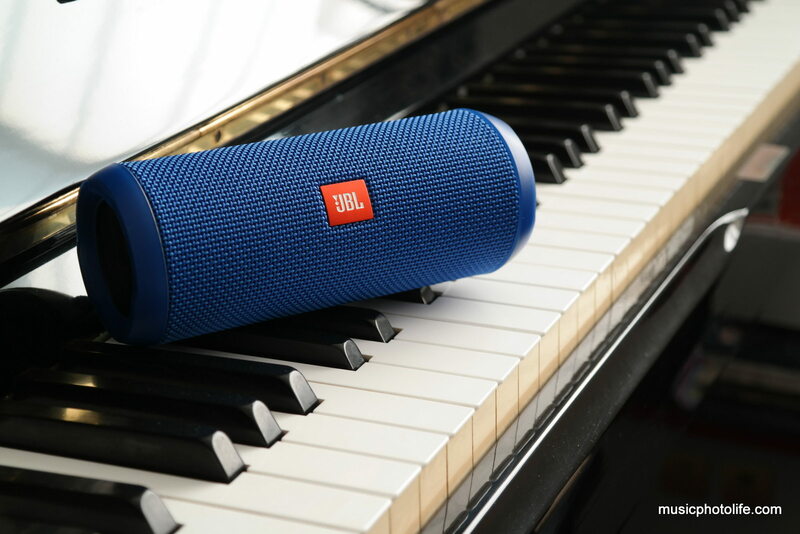 A dedicated JBL Connect button allows you to pair another compatible JBL speaker so that you can either play in stereo mode (each speaker plays one side) or party mode (both play same audio). The USB and 3.5mm audio ports are capped neatly for liquid protection. The included USB cable’s Type-A connector is reversible, which is really good to have. I also like the 5-LED battery indicator so I have a good visual gauge of the remaining battery. After testing dozens of portable speakers, the JBL Flip 3 lands instantly as one of my top favourites. The treble is clear, well-defined, and disciplined without sounding noisy or compressed. The bass offers good definition without sounding heavy and boomy. The Flip 3 plays well with classical, jazz and instrumental genres. Pop music still sounds good, but the kick bass comes out hard and distracting. The bass probably could do better with a little more boom to make it fatter and less dry. I never like to listen to my music at loud volumes using small speakers. Most of the time, the audio balance will go off, either too muddy or too treble-noisy with weak bass. I like to listen the Flip 3 in an enclosed area with moderate volumes, as it delivers the best balance of transparent treble and responsive bass. I would not get the Flip 3 solely for parties or outdoors, although it handles high volumes relatively well. In spite of my criticisms, I don’t think I have heard any other portable rugged speakers with such pleasant all-rounded music quality. 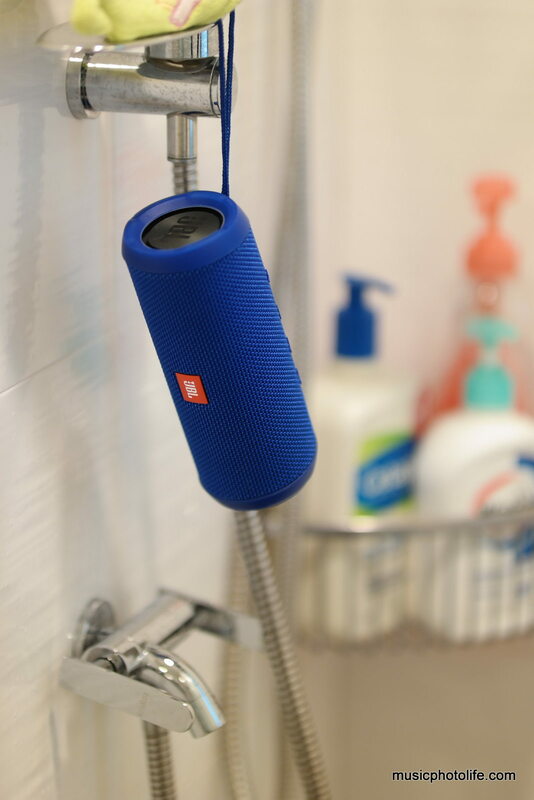 The JBL Flip 3 has the perfect balance of sound quality and durability, making it an exceptional speaker to own for audio-critical consumers who love to carry quality music everywhere. There are 7 colors available in Singapore – Black, Grey, Blue, Red, Orange, Teal and Orange. Recommended retail price is S$179. JBL will give a Flip 3 (colour decided by JBL) to one winner picked from a random draw out of all the comments posted on any of the JBL Flip 3 review articles at the following blogs. Here’s what you must do for a chance to win: comment below this article by 30 Oct 2015 on how your feel about the product. The contest is open to Singapore residents only. Winners will be notified by email. As you leave your comments below for the contest, please also subscribe to my blog using a valid email address so that I can contact you if you win. Thank you JBL Singapore for the opportunity to reward my readers. I hope you guys win this Flip 3 and share my joy listening to this sweet-sounding speaker. Great review! I have Jbl speakers for home and vehicles for years. They are the best value investments I have had. I get years of use and lasting quality. Cant wait to have this mobile speaker system to accompany my travels. Thanks. thanks for this well-rounded, balanced and objective review! I’ve been looking for a Bluetooth portable speaker for a while now, and was trying to find out more about the Bose mini SoundLink and this jbl speaker. great timing that I came across this webpage; it might be fate that I try out for this generous giveaway. 🙂 hope to have this!! Hi Michelle! Thanks for reading my article. The Bose SoundLink Mini is still my top choice for design and audio quality. But where price-benefit is concerned, the JBL Flip 3 sounds really close and at almost half the price! Plus it is a more fun speaker and less hassle to take care. The looks of this flip 3 is eye catching, not to mention, splash proof works wonders in the bathroom. besides its audio quality, portability and ease of use, I really appreciate the washable material coz I always like my stuff clean. 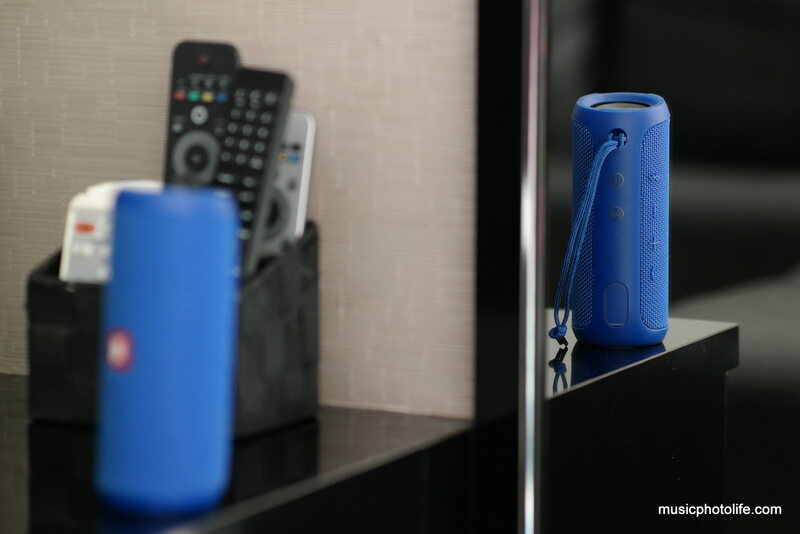 Not only that the mobile speaker is a great companion to keep me entertain during those empty pockets of time in between off site meetings, it is also a helpful assistant that allows me to hear the caller clearly under the noisy site environment. I have been looking for a portable speaker for my dance classes. Sometimes when we do rehearsals and do not have access to the main studio, we have to use a room that does not have sound system (or even a CD player). I resort to using my handphone speaker to play music, but it’s really not enough! Being unsure of which brands are good, I randomly went about testing speakers without much success. This sounds like a good and well-balanced system (I really cannot stand speakers that are good at either Treble or Base). Thank you so much for the review! Hey Joni! Hope all is well. Thanks for sharing your comments and hope you win this great-sounding speaker. If you need more help in finding an affordable yet balanced speaker, message me privately ya. One of the best portable speakers I have heard so far. For this quality and pricing, JBL Flip 3 far more attractive then Bose. Thanks for the reviewing this portable bluetooth speaker. I have been looking for one as my valore just died few days ago. Now surviving with my handphone speaker. Have been doing a bit of research on Flip 3, seems like a good choice for me. The key point that attracts me is the long lasting battery. The splash proof and sturdy casing is also the plus point.☺ Hope I am select to win this! My first pair of JBL speakers, Control 5 Plus bought in 1994 is still serving me well. The company has been in the business for a long time and knows how to make quality speakers. I really love the JBL speakers.. Was previously contemplating on buying the JBL Charge 2 previously cos I loved the speakers and its sound signature.. Now that I know of this flip 3 which is waterproof as well.. I hope I can get it! Keeping my fingers crossed! compared with Creative Roar (first edition)? hope i win the draw, a bluetooth speaker would be a nice addition to a bluetooth keyboard. The Flip 3 is more refined while ROAR is louder and sounds more powerful and aggressive. Flip 3 is great for detailed music genres while ROAR is for loud raw music like dance, hip hop. Feature-wise, ROAR is a lot more features, but if you need a speaker to port around and not worry about maintenance, then it’s Flip 3. JBL is the best speakers in town!! The sound best out loud and clear! Moreover it’s “splashed proof”, can use it while in bathroom. The most attractive to me is the bright & beautiful colors of the speakers. Hope that I can win this draw!! Hey Brandon! Thanks for your comments on the JBL Flip 3, and keep shooting! Sound superb quality and awesome with reputable brand ! What will happen if I accidentally touched the bass radiator? Hi, touching it will not damage it. The bass radiator is actually quite a robust component in order to produce low frequency sounds. The only concern is damage with sharp objects. If the diaphragm has a tear, it will severely impact the sound quality.